We have received our annual allotment of R. Lopez de Heredia wines for the year (and the allocations keep getting smaller and smaller as world wide demand far outstrips supply). One of our very favourite houses anywhere, there are very few wineries in Spain… in the world for that matter, whose name conjures up the heritage, prestige and adherence to old world wine-making quite like R. López de Heredia. Little about this winery has changed in the 140 years since it’s founding by Don Rafael López de Heredia founded it in 1877. The family adheres to a winemaking doctrine blueprinted in the 1880’s – to make wine only from their own vineyards. Located in the historic town of Haro, Heredia was the first to establish their winery next to the train station (for easy access to transporting their wines abroad). This area is known as ‘Station District’, there are seven famous wineries that make up this Golden Mile of Rioja. Renown for holding their Rioja wines till they think it is ready, we are pleased to offer the 2007 Cubillo Crianza, 2004 Tondonia Reserva in 750mL and in magnums as well as the 2005 Bosconia Reserva, all classic wines that are especially well priced given their high quality. Unfortunately, no Gravonia white this year. 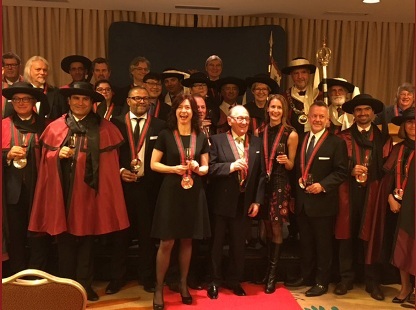 On October 31st, Annabelle and I were inducted as Honorary Confrades with the rank of Cavaleiro (Knight) into the Confraria do Vinho do Porto in an Enthronement Ceremony and dinner held at the Four Seasons in Vancouver. 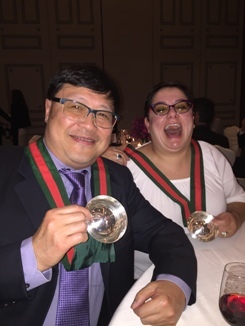 There were 20 of us from Canada inducted in this year’s ceremony – it was the first time the ceremony has been held in Western Canada (previously in Toronto and Montreal). The Confraria do Vinho do Porto (Port Wine Brotherhood) is a non-political, not for profit, organisation, established in 1982 with the purpose of communicating, and enhancing the worldwide reputation of Port Wine and its moderate consumption. 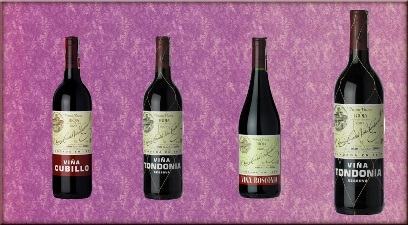 The Confraria welcomes into its organisation, persons who, by their actions, reputations, or position make a significant contribution to the image and knowledge of Port Wine. The Cavalerio title is given to those who have been recognized for having made a commitment and a true contribution to Port Wine. The ceremony was a formal black suit affair, we were each introduced and our contributions read aloud (humorously of some people I must say), then presented with a bright green and red ribbon from which hangs the Tambuladeira (silver emblematic port tasting cup), and the diploma whereupon we signed the Roll of Honour confirming your admission as an Honorary Confrade. 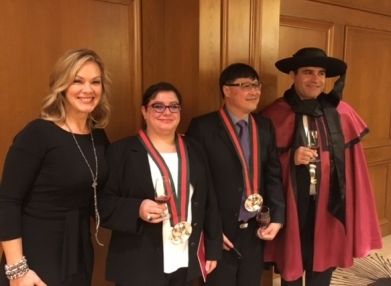 You don’t have to call us Lady Annabelle or Sir Dirk for this was a humbling affair given some of the other honorees – including a government official and Canada’s first female Master of Wine, Barbara Philip – but it was sure nice to be in their company none the less. For more info on the Confraria, click here..
We’ve tasted a few and it is not the ‘green’ classic spectrum like 2013 and 2014, the 2015’s are muscular and bold like a body builder, but with incredible acidity that balances out the fruit and make the wines appear drier than they actually are. 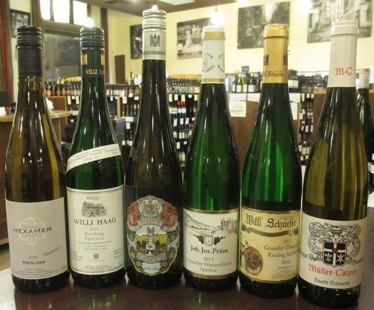 These wines are good to drink now, yet improve for a decade or more. 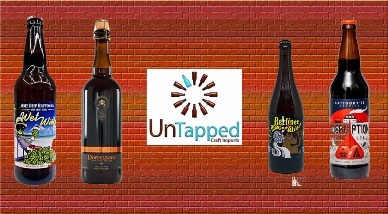 Our January Case of the Month – $200.64 is a great sampler case for those wanting diversity, discovery and affordability in everyday drinking wines. We choose wines for this case to showcase their true varietal characteristics from wine regions from all over the world. It is seasonal in nature as well, more whites and pinks and lighter reds during the summer and now more full-bodied reds as fall approaches. It is a great way to discover your palate besides always having some wine on hand. January features a wild assortment of wines from all over, with offerings are from all corners of the globe including Italy, France, Spain, Chile, Argentina, Portugal, United States and Australia. You can read more detailed information and purchase the January Case of the Month online here..